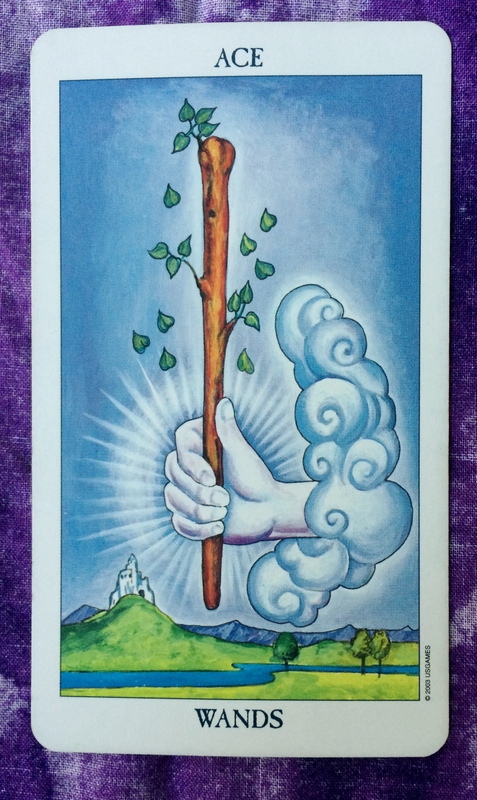 Again, today’s card is the Ace of Wands. This is the third day in a row that I drew an ace, so I take it as confirmation that this week is full of opportunity for manifestation. This is a powerful surge of energy for starting new projects and being successful at them. The Ace of Wands in particular is an indicator of new beginnings in the area of work or career. However, don’t forget that the suit of Wands represents the element of fire. Fire symbolizes passion, creativity, and sexuality. With that in mind, we see that now is the time to start any project you are passionate about — sewing, knitting, cooking, blogging — you name it! If you are involved in the arts, your creative juices are flowing. Also, you could very well be in a position to start a new romance or else rekindle the romance in an established relationship. If you are looking to start a family, there may be an increase in fertility. Astrologically speaking, today’s new moon in Virgo will have a powerful influence. That energy, as well, will be an agent of change for a new start.